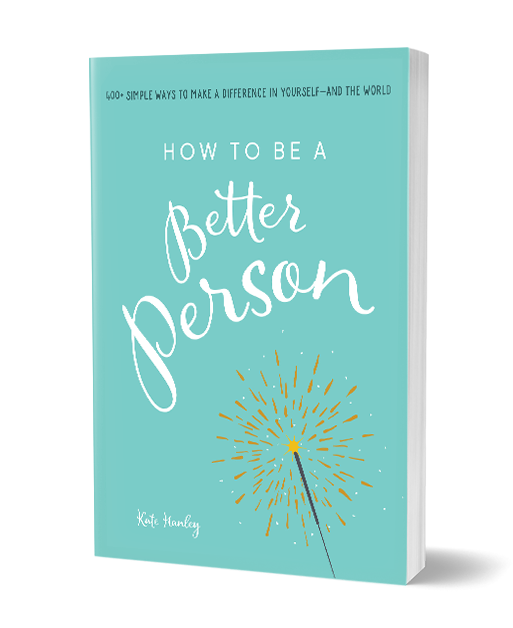 When you order multiple copies of How to Be a Better Person, your benefits multiply too. Get all of the above PLUS Kate Hanley will join your group or event (via Zoom or Skype) for a personalized 60-minute Q&A session! The number of copies you bought. That’s it! I’ll get you hooked up with your bonuses so that when the books arrive, you’ll be ready to hit the ground running. If you’d like to order multiple signed copies, email me at kate@katehanley.com and we’ll get you hooked up in a way that saves you on shipping.